Facebook CEO Mark Zuckerberg welcomes app developers to the Facebook F8 2018 developer conference held at the San Jose McEnery Convention Center on May 1, 2018. 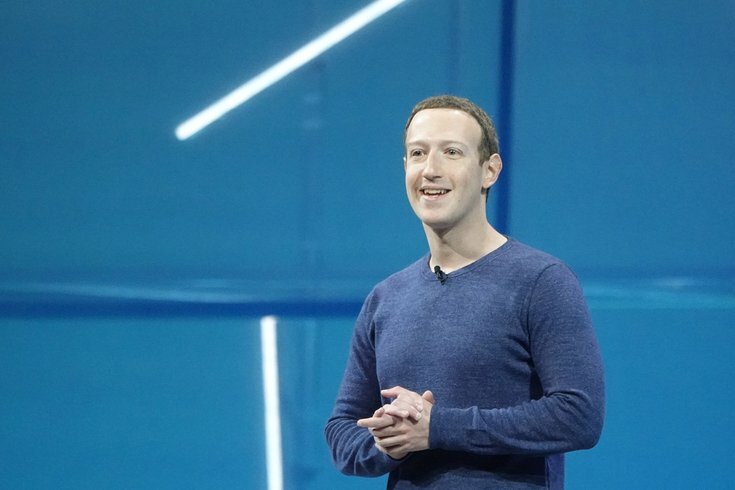 At his annual developers conference, called F8, Facebook CEO Mark Zuckerberg announced that a new dating feature will be added to Facebook soon. The way it works: If you opt-in, you will create a profile only meant for dating that just uses your first name. From there, you can “unlock” different events and groups that could lead to more potential matches. For Facebook's 200 million "single" users, any existing friends will be excluded from potential matches. Interesting side note: If you mark yourself as “in a relationship” or “married” on Facebook, you won’t even have the option to use the feature. Is that Zuckerberg’s attempt to keep us all honest? Additionally, there’s a separate inbox for dating messages that doesn't allow photos, according to Facebook Chief Product Officer Chris Cox. Facebook is willingly throwing itself into the dating app competition, which has been heating up. But Zuckerberg said the new quest is a chance for “meaningful, long-term relationships” and not just “hookups,” unlike apps like Tinder and Bumble that don’t make such distinctions. But it was just a month ago that the political consulting firm Cambridge Analytica had improperly used information from millions of Facebook users, prompting Zuckerberg himself to testify in front of Congress. Are we really over it and ready to trust the platform with another part of our personal lives? Since the privacy breach, the platform has limited how much information can be obtained by third parties and made a larger commitment to privacy — upsetting some third-party developers in the process. Zuckerberg answered some of those questions at Facebook's F8 conference and will continue Wednesday morning for part two.